As we saw in a previous post, according to evangelical authors and apologists Josh and Sean McDowell, a significant percentage of Christian evangelicals now believe that it is completely acceptable for a “Bible-believing” Christian to believe that God created the first human being using an already existing hominid (an ape man). 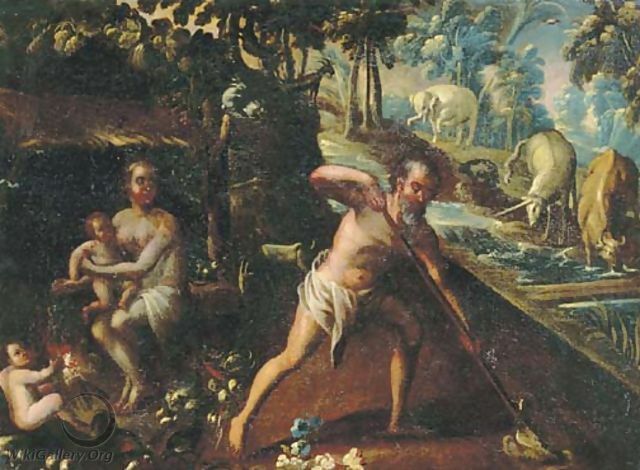 And as we saw in another previous post, it is also now perfectly acceptable for evangelicals in good standing to believe that although the first humans were created in God’s image in “Eden”, located between the Euphrates and the Tigris rivers in Mesopotamia as the Bible claims, it is possible that after God ejected the first humans from his garden for their sin of forbidden-fruit-eating, they migrated to east Africa, consistent with the consensus scientific opinion regarding the location of human origin. A majority of today’s evangelical Christians now believe that a literalist interpretation of the Genesis Creation story is silly, uninformed, and naive. As long as an evangelical Christian believes that Yahweh, the Judeo-Christian god, created the universe (using one of many possible methods, including evolution through natural selection), and that he created humans in his image (in some fashion, including breathing his spirit into an already existant, pre-homo sapien, hominid ape-man), that is perfectly acceptable. But…what do evangelical Christians say about another story in the Bible, the Exodus of the Hebrews from Egypt? According to the Bible, approximately 600,000 Hebrew men with their wives and children left Egypt in one great exodus. In this chapter we present and evaluate the latest evidence for the historicity of the exodus. At the outset we must say the extra-biblical evidence is far from overwhelming. We have no smoking gun providing clear, solid evidence that Israel lived in Egypt and Moses led the Hebrews out of the country. …The lack of unambiguous extrabiblical reference does not rule out the fact, or at least the possibility, of the exodus as an historical event. Therefore, in this chapter we attempt to show the Old Testament exodus story is plausible, even if seemingly improbable. Gary: Wow! And I mean, WOW! Evangelical apologists and their scholars admit that the Exodus Story is seemingly improbable; that there isn’t any clearly identifiable evidence for it in the archaeological or textual evidence…but dog gonnit…they are going to prove to everyone that it is…plausible! Good grief. If that isn’t evidence of conservative Christians seeking evidence to confirm their faith-based conclusions instead of evaluating the evidence like good scientists to arrive at unbiased, evidence-supported, conclusions, I don’t know what is! And what about this complaint of a “double-standard” applied to the Bible? Since when do mainstream archaeologists, Near East experts, and other scientists accept as historical fact claims made in other ancient texts which have no supporting archaeological or textual confirmation? Never, that I am aware of. So where is the doubt standard? Archaeologists and Near East experts accept the historicity of some fact claims in the Bible, for instance the historicity of the biblical Israelite kings Omri and Ahab. Why? Answer: Because there is supporting archaeological and/or textual confirmation of these biblical claims in other ancient sources! There is no bias against the Bible in archaeology and among historians except in the minds of Christians! If there is no archaeological or textual evidence to support the Bible’s Exodus from Egypt Story, why the hell should educated people living in the 21st century believe this fantastical tale to be historical fact?? 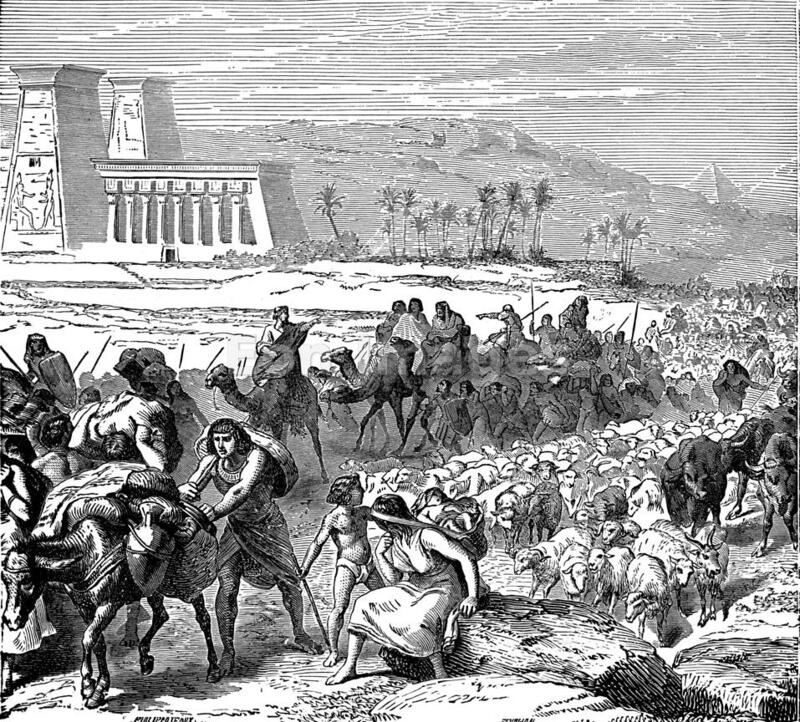 The exodus of the Israelites from Egypt is one of the most important historical events for both the Jewish and Christian faiths. That central experience of rescue for the helpless out of a desperate condition has been recognized as a key example of God’s love in making salvation (wholeness, healing, and restoration) available. Theology is connected to these historical events. …The saving power of God as shown in the event of the exodus is woven throughout the Bible and ancient Israelite beliefs and practices. …The exodus and Jesus Christ’s provision of salvation are connected as type and fulfillment. …Believers for over 1500 years linked the history and theological insight. …Without its [the Exodus] central meaning—an account in real history of God’s loving awareness of his people and his saving action on their behalf—much of the Bible also comes under attack. Gary: So in summary, there is no good evidence for the historicity of the Exodus, but conservative and moderate Christians are going to believe it anyway, because without it…Christianity collapses. 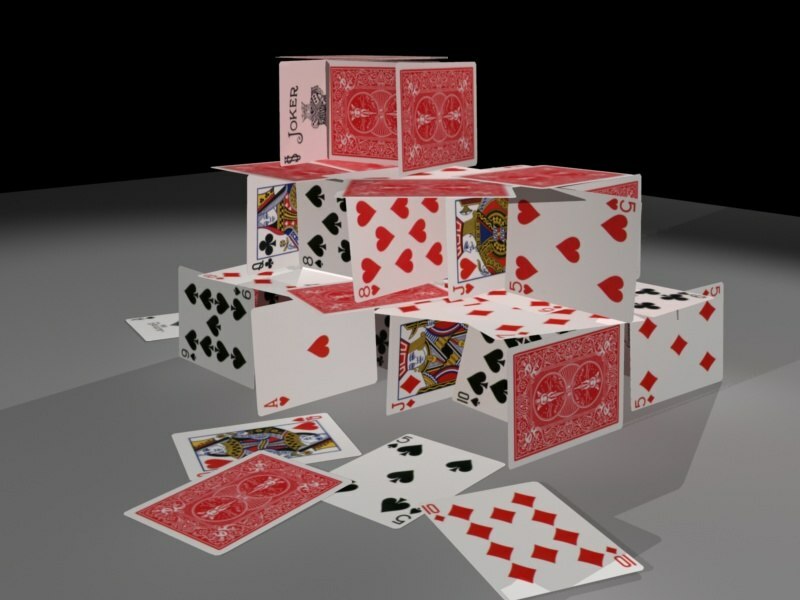 What a “house of cards”! Why can’t Christians see that? Previous postHow Do Evangelicals Explain the Anachronism of Isaac Meeting Philistines 800 Years Prior to their Presence in the Archaeological Record of Palestine? There are probably many “beliefs” regarding Adam – beliefs that are not at all “literalist” (as, most clearly, you were and still are). FOR EXAMPLE: it could well be that the first “anatomically human” creature had indeed migrated as far north as the Tigris-Euphrates region, and maybe, at that point, the first of these “anatomically humans” were then given a human spirit. No need to go back to Africa. I’ve noticed you can get real creative with your alternate theories on stories such as Peter (et al) going to Jerusalem for Pentecost, but when it comes to other possible scenarios for other events, you get real, REAL limited in your imagination. You’re kidding, right? Please tell me you meant this as a joke. Because, believe it or not, Christianity hinges on one thing, and one thing only: the resurrection of Jesus. Heck, a person doesn’t have to know a thing about the story of the Exodus in order to believe that Jesus was resurrected. And, there is no doubt whatsoever that HUGE numbers of non-Jewish believers in the first several centuries of Christianity knew nothing about the Exodus, or Adam, or Moses, or anything else from the OT, at the time they began to believe in Jesus, resurrected. If the Bible is to be believed at all, the Apostle Paul (the true founder of Christianity), and more importantly for our discussion, Jesus, clearly believed that the Exodus and the Passover were real events. The overwhelming evidence indicates that these stories are nothing more than ancient folklore. So Jesus was wrong. Jesus made a mistake. So Jesus was not perfect, and if he was not perfect, he cannot shed his “pure” blood to redeem other imperfect humans (“sinners”). So whether or not the Creator “resurrected” his brain-dead body is immaterial. He is no one’s “savior”. He is no one’s “redeemer”. A resurrection would only prove that very rare violations of the laws of physics do occur. It in no way proves Jesus should be worshiped and prayed to in order to attain eternal salvation, the core teaching of Christianity. The non-historicity of the Exodus is excellent proof that Jesus was just one in a long line of delusional “prophets”. The fact that a small group of ignorant (“unlearned”), superstitious, gullible, grief-stricken first century peasants sincerely believed that they had seen their beloved friend and leader alive again, but this time with a magical, superhero-like body that could perform tricks, does not change that fact one iota! you’re reasoning is really fascinating. Jesus said “Your forefathers ate the manna in the desert, yet they died. But here is the bread that comes down from heaven, which a man may eat and not die. I am the living bread that came down from heaven”. Do you think Jesus was a literally a loaf of bread from heaven? OR, is it just faintly possible that he’s talking about a theological truth? And, if he’s talking about a theological truth (and he’s not really a loaf of bread), then what makes you determine that the statement “your forefathers ate the manna in the desert” is anything but a theological truth? You see, I’ve never figured out why (on earth) some Christians regard this scripture as some kind of “proof” that Jesus believed in the Exodus, as it’s written in the Torah. I’d say it equally baffles me that skeptics do the same thing, but, it really doesn’t. You want to make some kind of point, but when another point is raised, contrary to what you’re saying, you’ll do a classic Bulverism: “Oh, you’re only saying that because you’re an apologist” – as if that’s an actual argument (which, it’s not. It’s a classic logical fallacy). How, exactly, do you know what either Jesus or Paul thought about ancient Hebrew scriptures, and whether they referred to them in strictly historical terms, and not in theological terms? Please tell me how much of the Sinai desert you think has actually been excavated for archaeological finds, and what percentage of existent sites in Israel have been excavated. Your forefathers ate the manna in the desert, yet they died. But here is the bread that comes down from heaven, which a man may eat and not die. I am the living bread that came down from heaven (Jn 6:49—51). Jesus staked His reputation, authority, and credibility on the Exodus account’s reliability—on His confidence that the Israelites actually did eat manna in the desert as the Scriptures describe. If this account were not true, then Jesus was wrong, and so are some of His teachings. We should not be surprised, then, that some critics have focused so much attention on this fundamental event in the Bible. They try to discredit the story of the Exodus to undermine its historical validity. Biblical historian Eugene Merrill describes the importance the Exodus has for the rest of the Bible: The exodus is the most significant historical and theological event of the Old Testament because it marks God’s mightiest act in behalf of his people…To it the Book of Genesis provides an introduction and justification, and from it flows all subsequent Old Testament revelation…In the final analysis, the exodus served to typify that exodus achieved by Jesus Christ for people of faith, so that it is a meaningful event for the church as well as for Israel (1996:57–58). If the Gospels are correct, Jesus believed that Moses (whom most historians believe is a fictitious character) wrote about him! So Jesus was not only wrong in believing Jewish folklore about Moses as a real person, he was delusional to boot! He believed that a fictional character wrote books about him!!! Jesus was just another religious loon. Nice guy. Good intentions, but a loon! And here is another: Jesus allegedly healed someone and told this person to go to the priest and offer the “offering that Moses commanded”. Now, you can make up a silly, ad hoc argument, that what Jesus really meant was, “Go offer the gift that the allegorical, but fictitious figure named “Moses” is alleged to have commanded”, but that is just plain pathetic. (Matthew 17:3) 3 And look! there appeared to them Moses and E·liʹjah conversing with him. (Matthew 19:7, 8) 7 They said to him: “Why, then, did Moses direct giving a certificate of dismissal and divorcing her?” 8 He said to them: “Out of regard for your hard-heartedness, Moses made the concession to you of divorcing your wives, but that has not been the case from the beginning. (Matthew 23:1, 2) 23 Then Jesus spoke to the crowds and to his disciples, saying: 2 “The scribes and the Pharisees have seated themselves in the seat of Moses. (Luke 24:25-27) 25 So he said to them: “O senseless ones and slow of heart to believe all the things the prophets have spoken! 26 Was it not necessary for the Christ to suffer these things and to enter into his glory?” 27 And starting with Moses and all the Prophets, he interpreted to them things pertaining to himself in all the Scriptures. Notice the passage from Matthew 17: Jesus allegedly TALKS to MOSES!!! Wow! So so much for Jesus not believing in a literal Moses or a literal Passover or a literal Exodus. Six days later, Jesus took with him Peter and James and his brother John and led them up a high mountain, by themselves. 2 And he was transfigured before them, and his face shone like the sun, and his clothes became dazzling white. 3 Suddenly there appeared to them Moses and Elijah, talking with him. 4 Then Peter said to Jesus, “Lord, it is good for us to be here; if you wish, I[a] will make three dwellings[b] here, one for you, one for Moses, and one for Elijah.” 5 While he was still speaking, suddenly a bright cloud overshadowed them, and from the cloud a voice said, “This is my Son, the Beloved;[c] with him I am well pleased; listen to him!” 6 When the disciples heard this, they fell to the ground and were overcome by fear. 7 But Jesus came and touched them, saying, “Get up and do not be afraid.” 8 And when they looked up, they saw no one except Jesus himself alone. Gary: Just with this one story, no one should believe ANYTHING the Gospels authors say. Moses is a fictitious character in ancient Jewish folklore and the authors of the Christian Holy Bible claim Jesus was carrying on a conversation with this fictitious character on top of a mountain!!! What a bunch of baloney! And they want us to believe the same authors’ Resurrection appearance claims??? Get real. The Bible, from Genesis to Revelation, is NOT history, it is PROPAGANDA! Pure, unadulterated, religious propaganda. First, I’m well aware what the “traditionalist Christian” teaches, and YOU should be well aware that I’m not a traditionalist Christian. I don’t know why you even bother to quote Gospels to me. You know full well I don’t regard the Gospels as historical. So, I’m not sure what the point of all your cut-and-paste diatribe is. The fact of the matter is this: Jesus may full well have believed an historical Moses existed. You still don’t get that “Jesus” is the name of a person – one who is a person, with human limitations, and like you, me, and everybody else, working only with the kind of “educational knowledge” that was available. You seem to hold to some kind of weird theology that because Jesus was the embodiment of the Spirit of God, that somehow, that would mean he should have been able to quote the entirety of Newtons Laws of Physics. Whatever that whacked-out theology is, I don’t buy into it. So, I can’t (and won’t) argue with you about your own bad theology. It is, and (apparently has been, for a long, long time) your problem. And, me? I’m really not going to try to help you with it. My guess is that neither Jesus nor Paul knew about bacteria, either. Nor, about how lightning works. They knew what they, like anybody, could humanly know. And, ultimately, whatever that knowledge level was – in regards to either bacteria or Moses – it doesn’t mean SQUAT in regards to whether Jesus was resurrected or not. I guess, then, you need to save all that myriad of postings for somebody who cares. Because all of it is based on a reasoning that, for me, doesn’t fly: either YOUR reasoning, nor the reasoning of Christians who hold to those views (as you apparently do). FT: Breaking news: My posts are not directed to YOU! My posts (at least most of them) are directed to conservative and moderate Trinitarian Christians. That’s it. If you are not a conservative or moderate Trinitarian Christian, I suggest you find an atheist blog that attacks your personally crafted version of Arian Christianity. Maybe you would be happy with the Mormons! but, you see, all you’re doing is trying to “debunk” the stock moderate/conservative Trinitarian Christianity. I do exactly the same thing. Except, unlike yourself, I believe Jesus was God Incarnate, and was resurrected. What YOU don’t do, though, is try to engage in a truly meaningful discussion with someone such as myself, because, well, you can’t pigeonhole me. But, you try to pigeonhole “Christianity” as well. So, yeh, I understand what you’re trying to do. But, I just totally question your own reasoning for what you’re trying to do. Thank you for the psychoanalysis. It’s really occurred to me that there’s something about me which you’ve never understood: I very much reached the same point as you did, in regards to this “thing” that has become known as “Christianity”. I became very disillusioned, I realized that so very much that is taught in churches is totally bogus. I realized that this whole idea of the bible being “the Word of God”, such that the bible is almost seen as an “equal” to God, was also totally bogus. And, I became very aware that, in particular, “Christianity” can’t possibly be “Jesus + the NT”, because the NT wasn’t even written for decades after the resurrection. Unlike you, though, I didn’t throw out the baby with the bathwater. If Jesus was really resurrected, then, that in itself – that one FACT (if it was indeed true) – stood on it’s own, totally apart from either the OT or the NT. It had no dependencies whatsoever on either of those writings. So, I looked at nothing but the resurrection, and as you know, I came to the conclusion that as far-fetched and (to use one of your favorite, though totally inapplicable words) “improbable”, it was more plausible than any other explanation. And, once I reached that conclusion, the rest of the stuff that had so troubled me just ceased to trouble me. I was no longer concerned with thinking I had to prove the Flood happened, or that the Gospels should be defended as historical writings. The part where we differ is that you threw out the baby with the bathwater. I didn’t grow up in a religious household, and I’ve always been a very independent thinker. I never let myself stay in situations that were manipulative, and never felt like there was some “standard thing” which I was expected to believe (or, else, I’d get ostracized). So, aside from the differences in how we each dealt with the bogus-ness of (what is called) “Christianity”, and all the little built-in “control” strategies, etc, we’ve actually had quite similar experiences. Your’s, though, have left you wanting to attempt very hard to bring others down, to somehow cause them to feel the same pain you felt. In fact, I’m pretty much under the impression that, unlike a guy like Ehrman, you’d like to strike at those that hold beliefs similar to what you grew up with. Me? I’m not there at all. I consider “bogus” the same things you do. Heck, I even consider the Trinity notion bogus. But, I don’t spend even a moment trying to hurt anyone. I don’t even make a point of trying to talk other Christians out of their belief that the Trinity is a nonsense notion, or that it was just a bunch of men that decided the NT was “the Word of God”. Sure, I’ll certainly TELL people that, but, I never try to tell others that they’re wrong in what they believe, unless they ask.